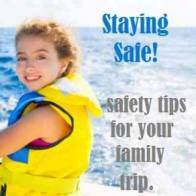 Wondering where your children, even your messy eaters, will be welcome in Vegas? 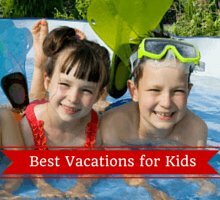 Check out our recommendations of the best places to eat with the kids! Buca di Beppo is the spot to go when your family is craving Italian! This restaurant serves family size dishes (Servings for 2 or 4 people) that you can all share. Pizza, pasta and salad-they have got it all! 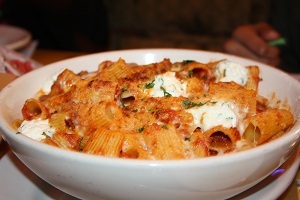 We tried the fresh baked rigatoni, margherita pizza, bruschetta and chopped antipasto salad. All delicious-my daughter said the salad was the best she ever ate! Our waiter was great-we felt like we were dining with friends! 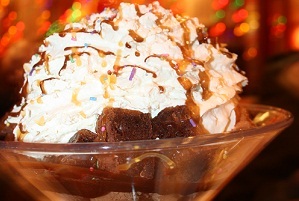 We topped it off with the colossal brownie sundae (and they aren't joking when they call it colossal!). 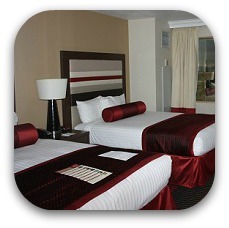 They have a location in the Excalibur hotel on the strip (and 2 locations off the strip). Kahunaville is located at Treasure Island, and it caters to children’s picky tastes while still offering plenty of choices for adults. The menu has a tropical flair with treats such as Jamaican jerk satays and Tahitian coconut shrimps. The bar area obviously is a getaway for adults but it doesn’t take away from the wonderful atmosphere and huge variety of food that this restaurant has to offer. It even has fountain shows that play out during your meal that everyone will enjoy. After your lively dinner be sure to watch the free pirates show outside the hotel. 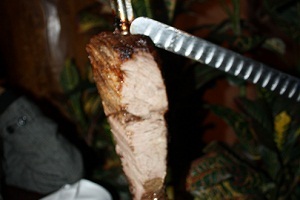 Pampas Brazilian Grille is a unique dining experience for families! 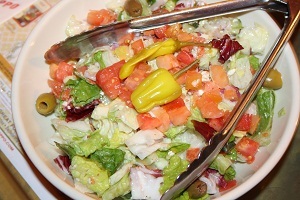 Choose from meat, surf and turf or vegetarian rodizios. Servers bring out grilled meat on skewers including bacon wrapped chicken, lamb and our favorite picanha (beef) that just melts in your mouth! Just flip over a card when you are ready for the grilled meats and they will slice some off for you! Don't miss out on the grilled pineapple too-my kids loved this! These meals are accompanied by a delicious buffet spread including salad, soups, potatoes, fried bananas and some Brazilian specialties! 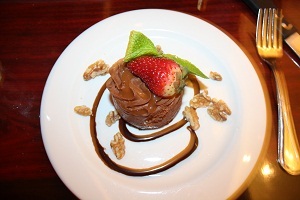 We tried some of the desserts-and let me just say: yummmmy!!! 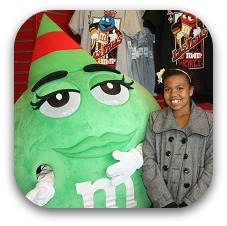 It is located in the Miracle Mile Mall at Planet Hollywood. Cheesecake Factory The Cheesecake Factory is renowned for its large portions, friendly atmosphere, and of course, its desserts. The menu offers a wide range of diverse foods choices for kids and adults to enjoy together including burgers, pizza and pastas. It is located in The Forum Shops next to Caesar's Palace. 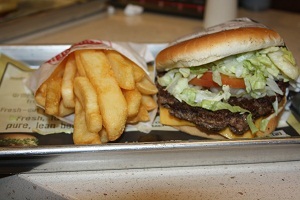 Fat Burger has the best burgers on the strip! This diner style restaurant serves us fresh grilled burgers with all the fixings. Choose your patty size of S, M, L, XXL and for those that dare the XXXL! 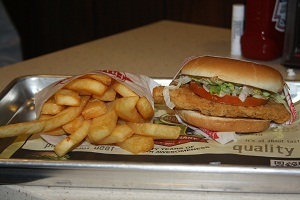 They also offer grilled or crispy chicken sandwiches. Fat fries, skinny fries or onion rings are available as sides. 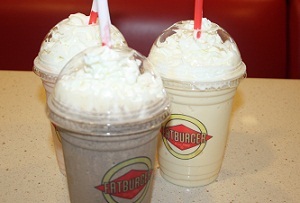 You don't want to miss out on the hand scooped ice cream milkshakes-these are the best we ever had! My kids loved the cookies and ice cream milkshake and I loved the banana maui shake. Delicious! The location is great-you can sit on the patio and people watch (it is mid strip-near the M & M store) or dine inside. Pink’s Hot Dogs - This is one of the cheapest and most convenient place to eat in Vegas. It’s right on the strip by Planet Hollywood and offers a wide range of hot dogs and chili dogs that will be a guilty pleasure to adults and kids alike. Rainforest Café The rainforest café is a truly unique experience, and while it isn’t the least expensive choice it offers delicious food that is cooked just the way you want it. 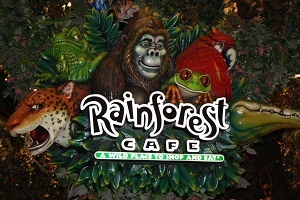 Kids love the rainforest theme that embodies what the restaurant is all about. Animatronic creatures will move about and entertain you while you have your meal in a lush tropical setting. This restaurant is over the top and fun- a perfect choice for the kids! It is located in the MGM hotel. The Food Courts - Food courts are located all around Las Vegas and are host to a wide variety of traditional restaurants and fast food places, such as Panda Express, Cinnabun, Kidd Valley and more. 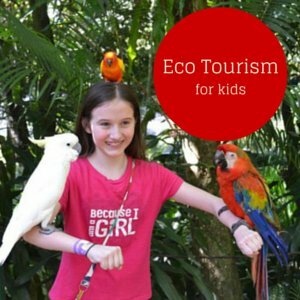 These places might not be the most exotic but kids love them and your wallet will as well! 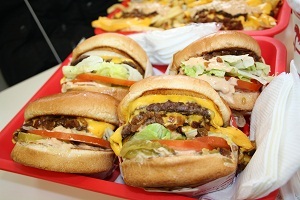 In 'n' out Burger is a must for families! There is not much to this menu-just hamburgers, fries and drinks, but they do offer a secret menu which my teenagers loved ordering off of. Order your burgers animal style and the patty will be cooked in mustard, then topped with fried onions, extra pickles and their special spread. Delicious-just don't go on any of those rides at the top of the Stratosphere after dining here-big mistake! 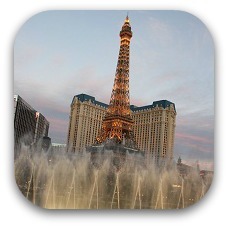 They have a few locations around Vegas but none on the strip! Hussong’s is a great place to get some of the best Mexican food you can find. 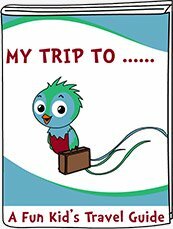 It has a family atmosphere that is comfortable and friendly. It also gives you large portions for a low price. The Margarita was invented here so parents you will have to indulge in at least one from the extensive list of Margaritas! It is located in the shoppes at Mandalay Place. 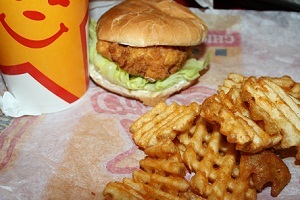 Carl's Jr offers up tasty and affordable fast food! I fed my family of 4 here for $30! We loved the ranch chicken sandwiches and crisscut fries. They offer lots of different burgers, sweet potato fries, regular fries and milk shakes! They have a location on the strip near the Stratosphere hotel and a few other locations around town. Buffets are a hallmark of Vegas. These are always a hit with kids, with a wide selection of foods available-no one will go hungry. 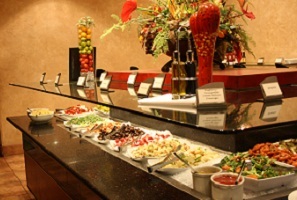 You will even find 24 hour buffet passes available with your choice of several restaurant buffets. The majority offer children's discounts. 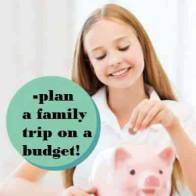 Family friendly Las Vegas hotels! 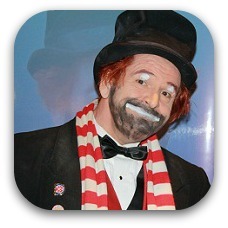 Don`t miss out on all these fun family activities on the Las Vegas strip! 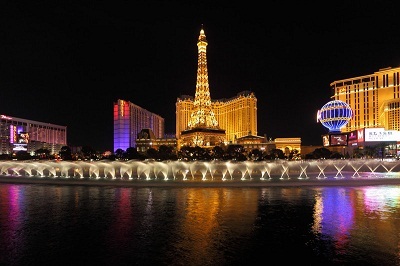 25 Things to do in Las Vegas with your children!